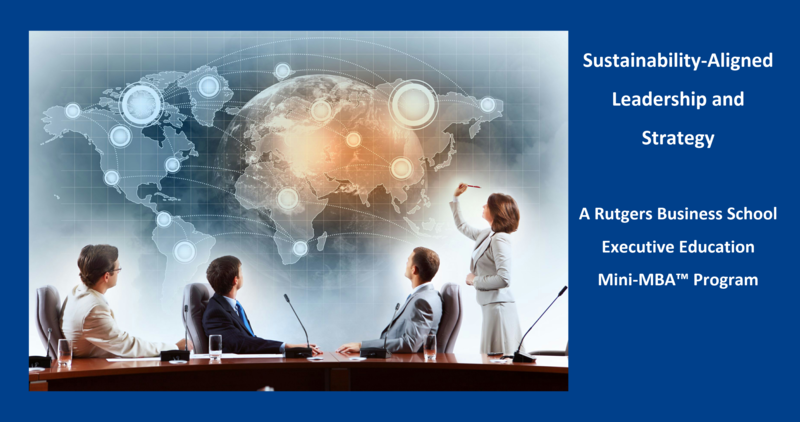 Why should you be in Sustainability-Aligned Leadership and Strategy? As a leader, you’ll walk away with an understanding of new challenges that business professionals are facing. Leaders are expected to know what to do. At the same time, we seldom give leaders the opportunity to experiment and learn. Paradoxically, this is especially true in a highly charged, changing business environment when more is at stake. This program gives you the opportunity to assess, learn, and integrate leadership and strategy skills for creating a sustainable future today. Working with peers in a risk-free environment, you’ll experiment with making decisions and taking leadership roles that tie sustainability practices to the creation of business value. Translate your proven leadership skills to fit unfamiliar, changing situations, and integrate those skills with new practices. Develop and support fruitful collaborations across functions, departments, companies, and industries so that doing the right work has the most beneficial impact. Learn how to recognize emerging risks and opportunities that come with change. Think big, think creatively, think strategically, and align day-to-day management to larger sustainability goals. Experiment with decision-making in a risk-free, gamified business environment. Grasp how the advantages of a sustainability focus can improve your own performance and that of your team. Applying integrated thinking, gain insights into how you can help your business and profession create value to prosper sustainably.